President Trump's administration has proposed, in its FY2018 budget, a nearly 19 percent cut to the National Institutes of Health. Cuts to science and research would slow medical progress, eliminate jobs, threaten the careers of young scientists, minimize our nation’s standing as a global innovation leader, and compromise other key American priorities. The March for Science Atlanta, set for this Saturday in Candler Park, has attracted the attention of many Emory scientists and supporters of science. Several Emory students, graduates and faculty have been involved in organizing the event. The march’s director is School of Nursing lecturer Jasmine Clark. The rally location is three blocks from the Candler Park MARTA station. In addition, on Saturday shuttle buses will take Emory riders from Woodruff Circle and drop off at Candler Park Drive and McLendon Avenue. The shuttles will leave campus every 30 minutes starting from 11 a.m. until 1 p.m., and then a second wave will return passengers to Woodruff Circle every 30 minutes from 4 p.m. to 6 p.m., according to Emory’s Transportation and Parking office. Before the march, the Emory Science Advocacy Network is gathering to make signs in School of Medicine 110 on Thursday at 4 p.m. The School of Nursing is hosting a sign-making party on Friday starting at 11 a.m. in the School of Nursing Plaza Lobby. Many faculty and students from Emory schools, departments and centers have been encouraging colleagues to attend the march. There is not much agreement between congressional Republicans and Democrats, but President Donald Trump's administration seems to have tripped on the exact issue that garners significant bipartisan support on Capitol Hill: investment in biomedical research. The administration’s proposal to cut biomedical research funding has elicited a particularly fierce outcry on Capitol Hill. It is a reminder for the research community that, despite last year’s much-celebrated passage of the 21st Century Cures Act, we cannot rest on our laurels. Continued education and outreach about the value of research funding is critical to the long-term success, sustainability and growth of the biomedical research enterprise. 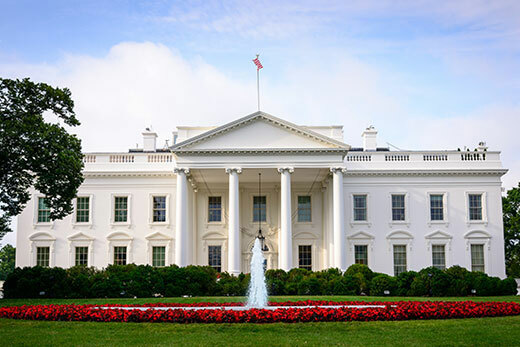 The White House recently submitted to Congress $18 billion in proposed fiscal year (FY) 2017 domestic discretionary reductions to offset defense funding increases. Given that we are already halfway through the fiscal year (which began Oct. 1, 2016), the impact of cuts of this magnitude would be quite disruptive, to say the least. At a March 29 hearing in the U.S. House on the Labor-HHS appropriations bill, HHS Secretary Tom Price mentioned indirect costs as potential source of money to offset the proposed FY2018 NIH cuts. Each of these three proposals raises major concerns. Together, they signal a significant misunderstanding of how the research biomedical enterprise operates, drives innovation and accelerates cures in this country. Emory has been working with a number of association partners to promote the biomedical research enterprise and shape policies pertaining to research. On Feb. 7, Emory joined 259 institutional partners recommending a funding level for FY2018 that is “at least $2 billion above FY2017 for NIH, in addition to funds included in the 21st Century Cures Act for targeted initiatives.” Additionally, the letter encourages groups to urge Congress to finalize an FY2017 spending package with $34.1 billion for the NIH, as approved by the Senate Appropriations Committee last June. Emory has taken this message to Capitol Hill. Jonathan Lewin, president, CEO and chair of the board for Emory Healthcare, and I discussed funding for biomedical research in a March 22 meeting with House Speaker Paul Ryan. Emory also continues to educate our elected officials about the partnerships between research universities and the federal government. Emory supplements federal dollars to develop cutting-edge research that improves our lives and those of future generations, research that often is either too basic or risky for the private sector. Last year, Emory researchers received $574.6 million dollars in total research funding: $389.7 million of Emory’s research funding came from the federal government, while the remaining 32 percent came from non-federal sources. In turn, Emory’s Woodruff Health Sciences Center invested a total of $112.8 million in research costs unrecovered from sponsors last year. These investments range from covering unreimbursed indirect costs of federally funded research to funding internal research awards. Finally, we have activated the Emory Research Advocacy Network (ERAN) to encourage our faculty, students, alumni and friends to advance the important message that “all research needs sustained investment.” Learn more here. Emory is working to leverage our research partnership with the federal government for the greater good. Any cuts to science and research would slow medical progress, eliminate jobs, threaten the careers of young scientists, minimize our nation’s standing as a global innovation leader, and compromise other key American priorities. We will continue to work with our partners to advance the message that the health of our nation, as well as the economic vitality of Georgia, depends on the scientific work being done by institutions like Emory.